To address many of the harms caused by overbroad patents and malicious patent trolls, the broken patent system must be fixed on the legislative level. There is currently a growing number of bills pending in Congress, as well as five executive actions and seven legislative proposals put forth by the White House—not to mention one state-level law. These bills take on the troll issue from various angles; none is a silver bullet, nor does any proposal truly address the underlying issue of broad software patents, but all manage to show just how many broken parts there are to the current patent system. The following are a set of solutions that would help solve the patent troll problem by shifting financial incentives, leveling the playing field, and bringing much-needed transparency to the system. Fee shifting – Legislation should be passed that shifts fees in patent troll cases to a prevailing defendant, and that the plaintiff should be required to post a bond at the beginning of the case. End-user immunity – The law should not allow trolls to prey on end users. Period. Real party in interest – Defendants should know every party who financially benefits from a patent lawsuit. Tracking demand letters – Trolling Effects is a new tool to track demand letters and bring transparency. Heightened pleading – Patent assertions must be clear about what is infringing and what is being infringed. Effective post-grant review – Section 18 of the American Invents Act must be expanded to all business method patents—and, thus, to all software patents. It also must be made permanent. Functional claiming – Patents should cover specific solutions to specific problems. Legislation should be passed that shifts fees in patent troll cases to a prevailing defendant, and that the plaintiff should be required to post a bond at the beginning of the case. Patent troll suits are prohibitively expensive—a fact that many trolls leverage to force their victims to settle. We favor legislative proposals that shift fees in patent troll cases to a prevailing defendant, and that the plaintiff should be required to post a bond at the beginning of the case. In other words, if a patent troll sues an individual, the troll would have to commit an amount of money that would cover the defendant's legal costs. Because troll cases are often built upon a rocky foundation (and most of them, if played out, end with the troll losing), this upfront cost would effectively curtail the number of patent troll cases. It also stops shell companies with no assets from bringing meritless suits. Of course, meritorious suits could still proceed, and the winning party would not find itself on the hook for fees. Judges could also retain discretion to waive the bond requirement where appropriate. The law should not allow trolls to prey on end users. Period. Recently we've seen cases where cafés and hotels were sued for offering Wi-Fi, and offices were targeted for using scan-to-email technology. We've also seen the patent troll Personal Audio demand licenses from podcasters for, well, podcasting, despite the fact that most of those podcasters use off-the-shelf technology to distribute their podcasts. Every individual should not have to check every technology they use for every patent it could arguably infringe (especially when those patents are nearly impossible to understand). The solution is clearly to immunize end users from patent suits. Some pending legislative proposals would create a scenario where companies could get involved on behalf of their customers. This is a good—not great—solution (and, frankly, the law already allows for this kind of intervention). An improvement in those scenarios would be the implementation of a mandatory stay—putting the lawsuit on hold—upon intervention on the part of the manufacturer. Defendants should know every "real party in interest," or every party who financially benefits from a patent lawsuit. We currently don't have an effective way of confirming who owns a particular patent, nor do we know what patents a particular person or company owns. A combination of poor record-keeping infrastructure and practices, as well as scheming businesses that transfer patent ownership to shell companies, has resulted in a hazy patent system where the lack of transparency has become a competitive tool. The term "real party in interest" means the person or entity that would benefit from a lawsuit. Real parties in interest should be disclosed to the Patent Office, so a defendant knows who is behind a lawsuit. Patent trolls often hide behind shell companies, and this shell game allows the actual parties who benefit from settlements to remain secret the whole time. This doesn't make any sense. The patent system relies on what's known as the "patent bargain," an exchange of exclusive rights for an invention in exchange for public disclosure about the invention. Navigating the current patent system in a way that actually promotes progress requires an awareness of the competitive landscape. But right now, knowing who owns what is far from easy. All of this patent subterfuge—coupled with a system that promotes such schemes—has created a state of play where litigation is favored over competition. There must be transparency around patent demand letters that trolls send out. Demand letters should be made publicly available, lifting the veil of secrecy that trolls hide behind. Public demand letters would help targets identify shell companies, notice trends, and band together to fight back against bad actors. EFF, alongside a number of public interest groups, is creating Trolling Effects, an online database of patent troll demand letters. Trolling Effects will help shed light on the extent of troll activity, the nature of demand letters, what actions can be taken, and what reform is needed. Many patent troll cases revolve around assertions that are vague at best. Companies are targeted with allegations of infringement, but specific violations or technologies aren't identified. This leaves targeted parties unable to make informed decisions about how to proceed, specifically with regard to how strong the troll’s case is and how strong the target’s defense is. As a consequence it’s often easier and cheaper to merely settle, thus feeding the troll. This needs to be fixed. Anybody who asserts a patent claim should have to be clear about what exactly is infringing, as well as what patent and claims are being infringed. Section 18 of the American Invents Act must be expanded to all business method patents—and, thus, to all software patents. It also must be made permanent. When the America Invents Act became law in 2011, it contained a temporary provision known as the transitional program for covered business method patents, or Section 18. This provision allows anyone threatened with infringement suits over certain types of patents to petition the patent office to review the patent's grant and scope. Importantly, Section 18 lets courts stay ongoing litigation when a party institutes a challenge at the PTO. This procedure allows for more challenges to patents of dubious quality because it is cheaper and more efficient than litigation. But it has two major flaws: 1) it is limited to patents covering methods of doing business in a financial or commercial setting (such as a patent on hedging risk), and 2) the provision is temporary and is set to expire in 2020. Section 18 of the American Invents Act must be expanded beyond simply financial products or services to be applied to all business method patents and all software-related patents. It also must be made permanent. Patents should cover specific solutions to specific problems. Too often, software patents apply broadly to all possible approaches to a problem, rather than to a specific solution. This is known as "functional claiming" and is endemic to software patents. This problem can be fixed by requiring patent applicants to claim their particular solutions. 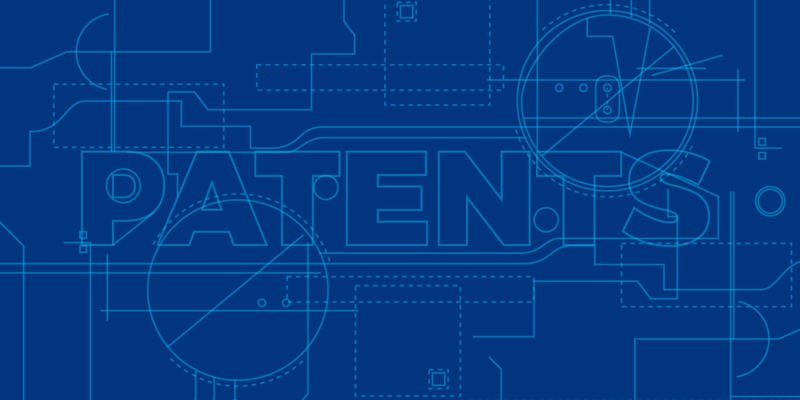 We've recommended that patent applicants should have to submit working code with their applications, or at least detailed notations explaining how their code works in order to get a patent. And if they do get a patent, they should be limited to the invention they claimed. Fixing the functional claiming problem will severely limit the problems posed by overly broad software patents, which are often abused by patent trolls. Are Blockchain Patents a Bad Idea? Daniel Nazer, a lawyer with the Electronic Frontier Foundation, told Fortune that applications to patent the blockchain - which is a form of software - face a high hurdle due to a Supreme Court case called Alice. Read more about Are Blockchain Patents a Bad Idea?